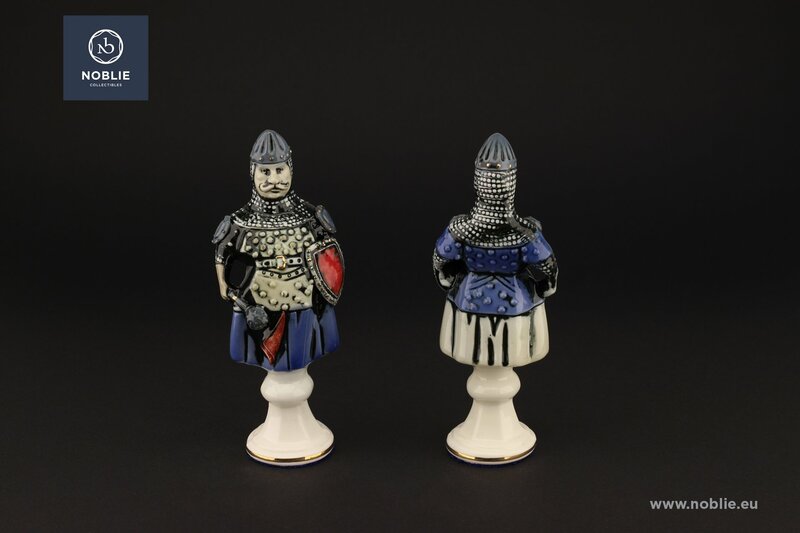 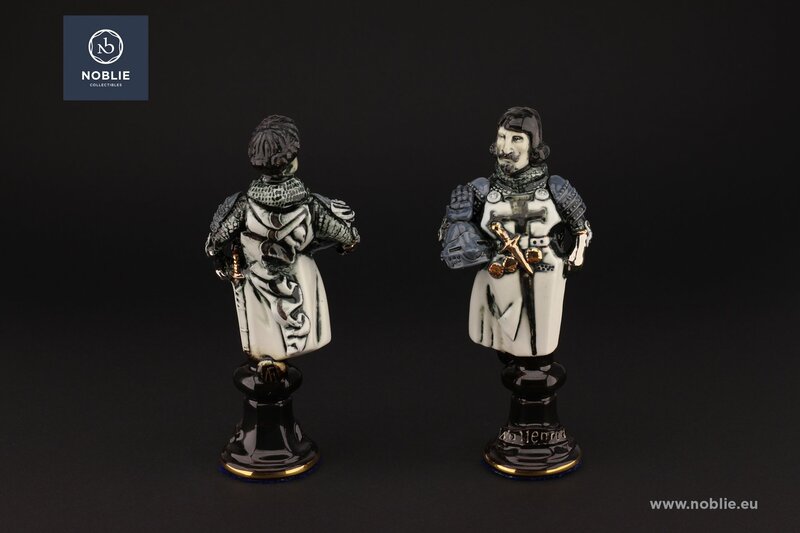 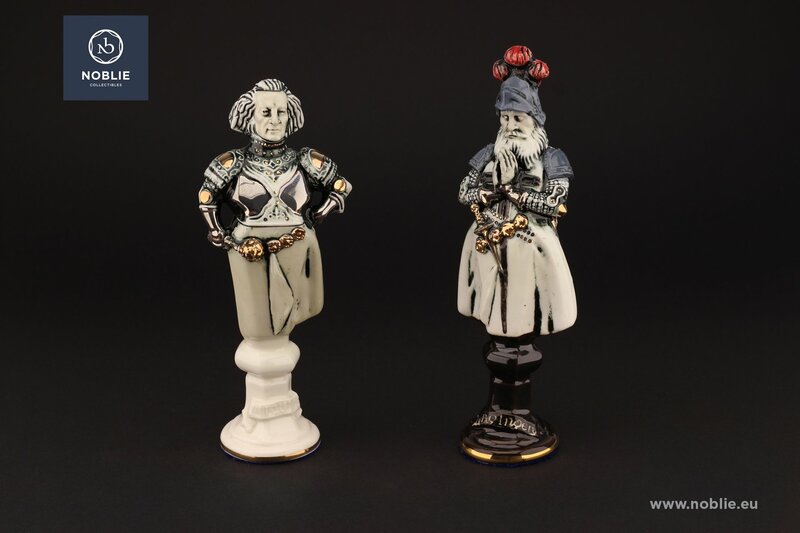 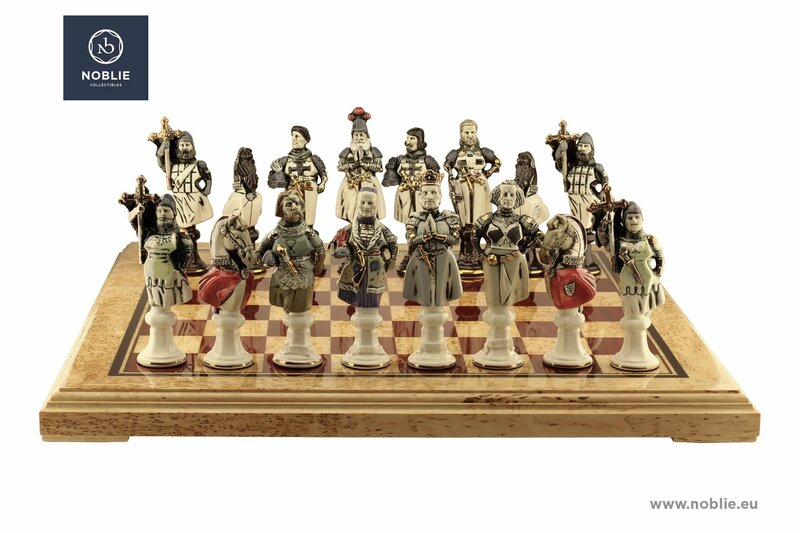 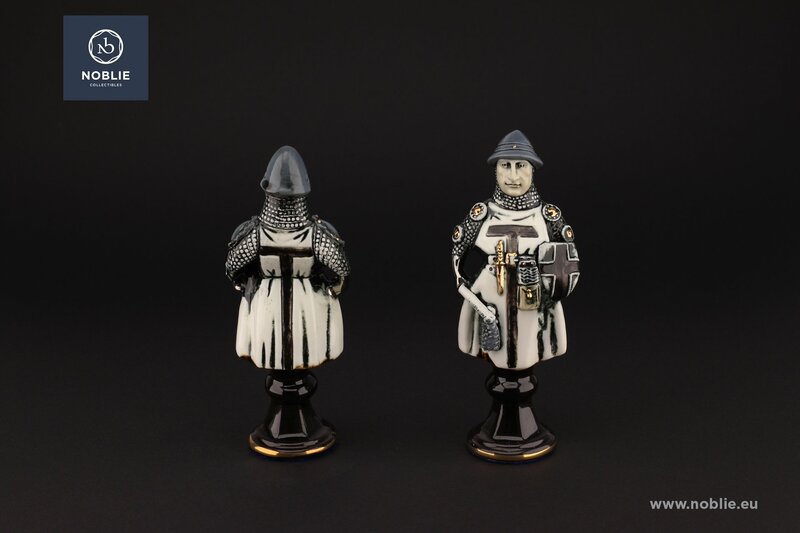 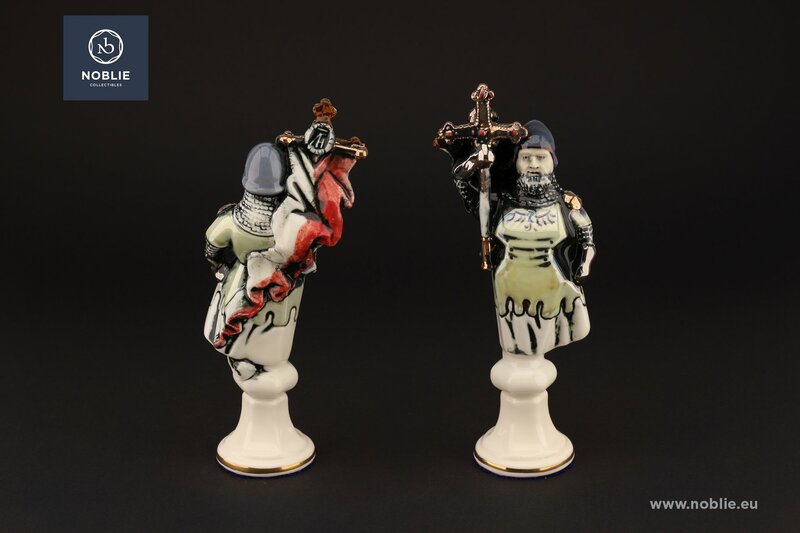 The alliance of the Kingdom of Poland and the ,Grand Duchy of Lithuania and the German–Prussian Teutonic Knights.The armies are represented in two types of pieces- monted on black pedestal for the Teutonic Knights and white pedestal mounted for the Polish-Lithuanian Union army. 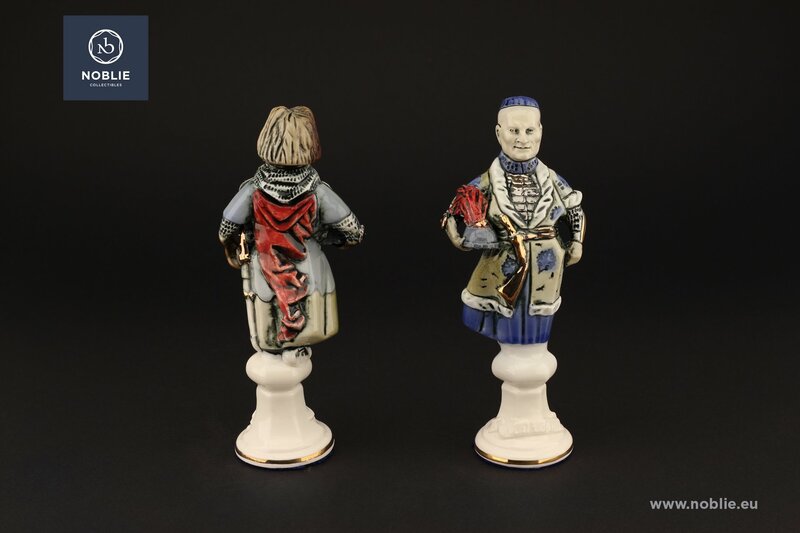 For the leaders of the opposing forces- King Władysław II Jagiełło and Grand Master Ulrich von Jungingen are taken the king figures. 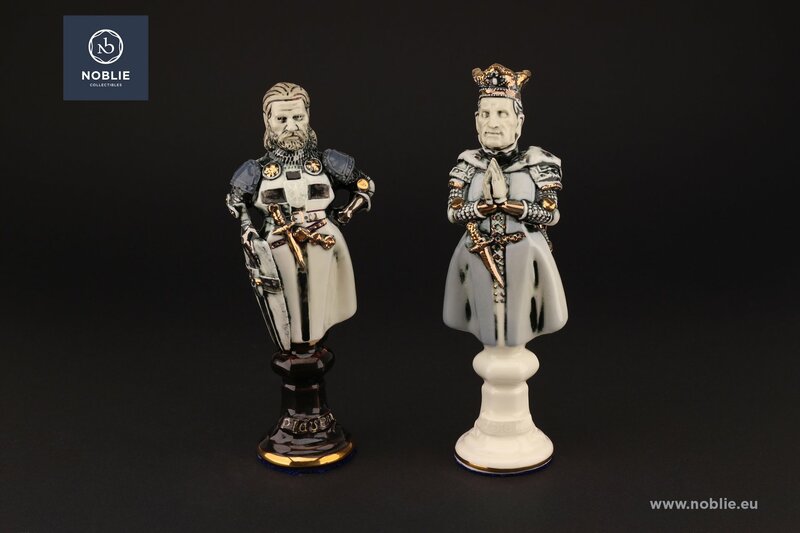 Queens figures for the allies of each leader. 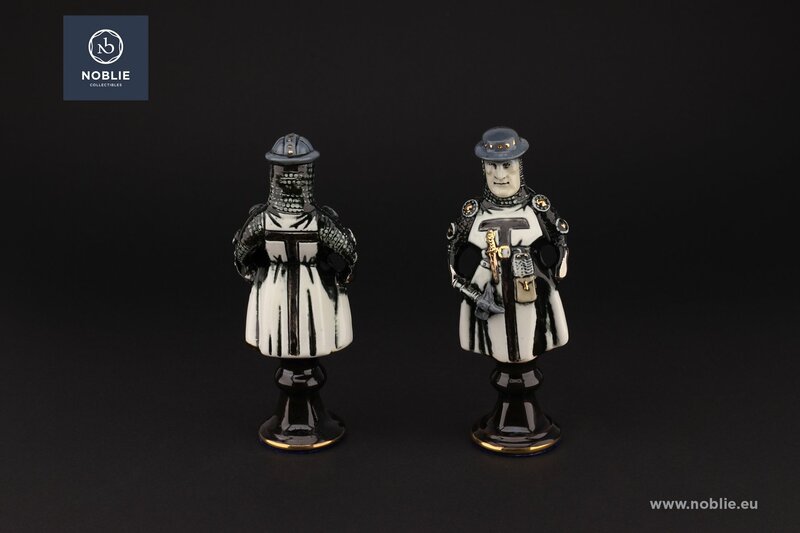 Bishops figures for the general commanders. 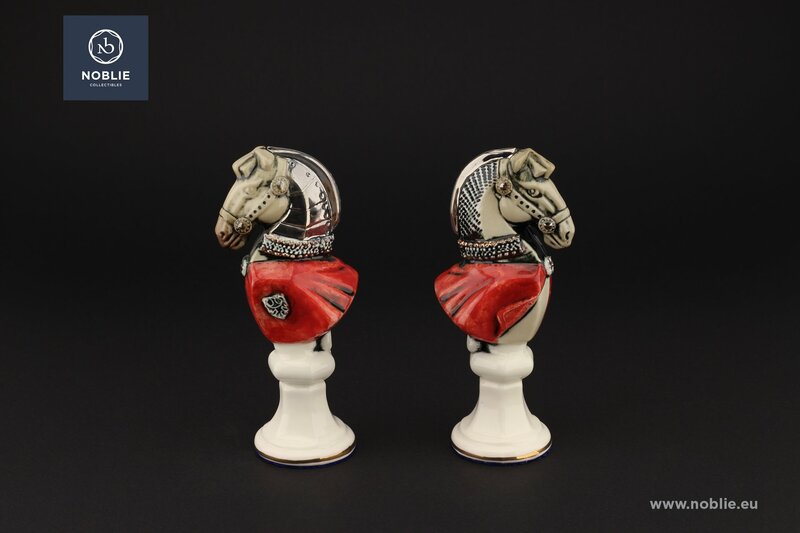 Horseshaped figures that simbolyze the cavalry for the knights. 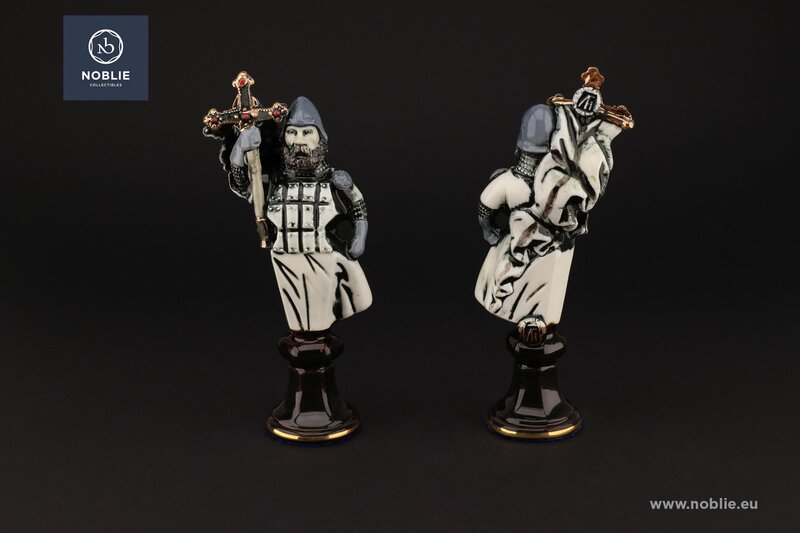 Rook figures for the banner bearers. 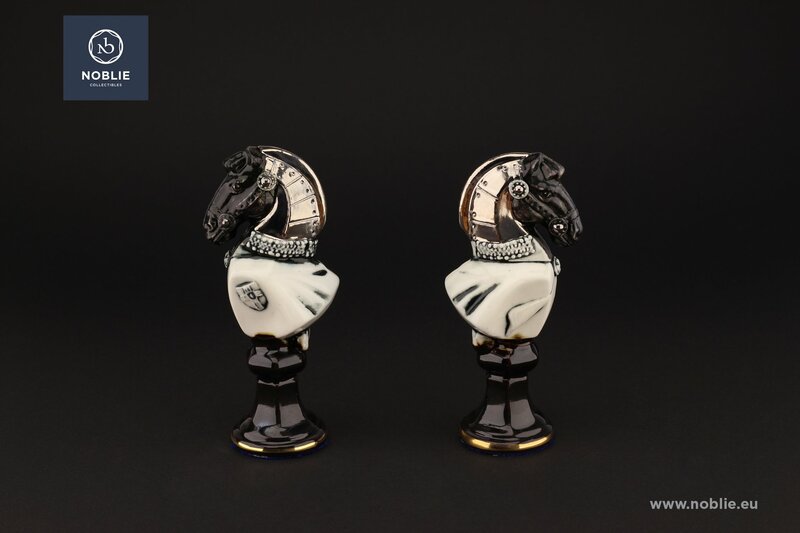 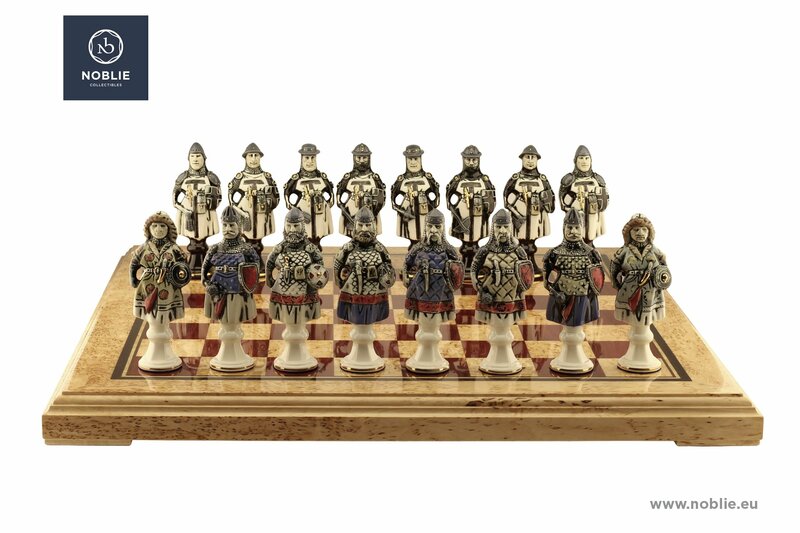 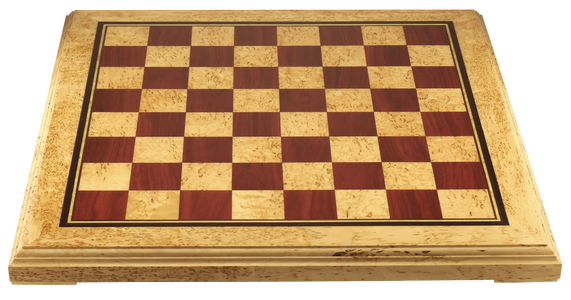 Pawn that represent the soldiers of the two opposing forces. 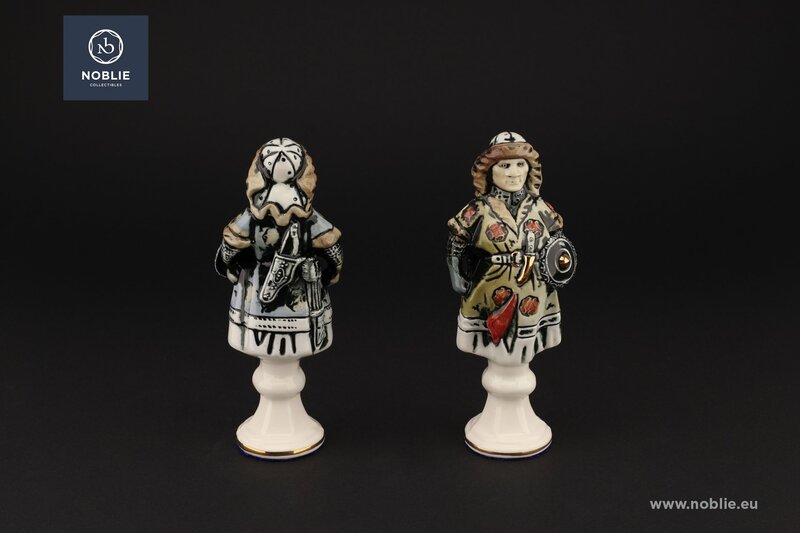 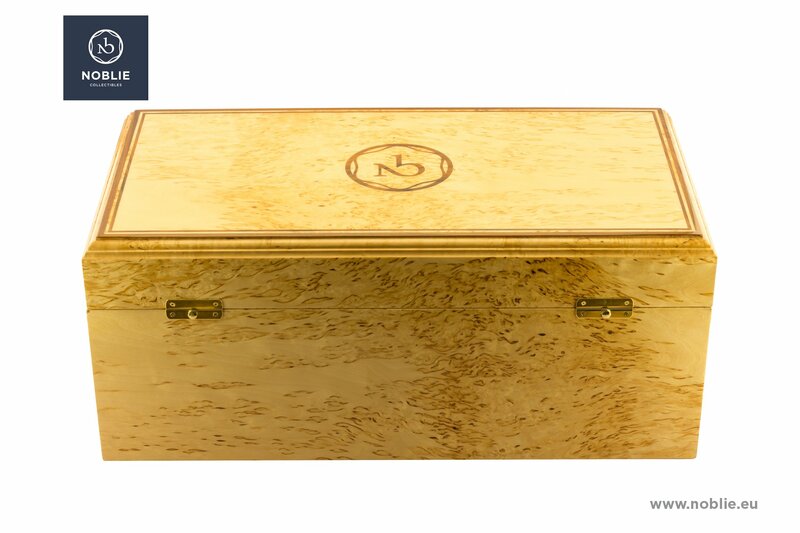 Artistically shaped, painted and decorated.